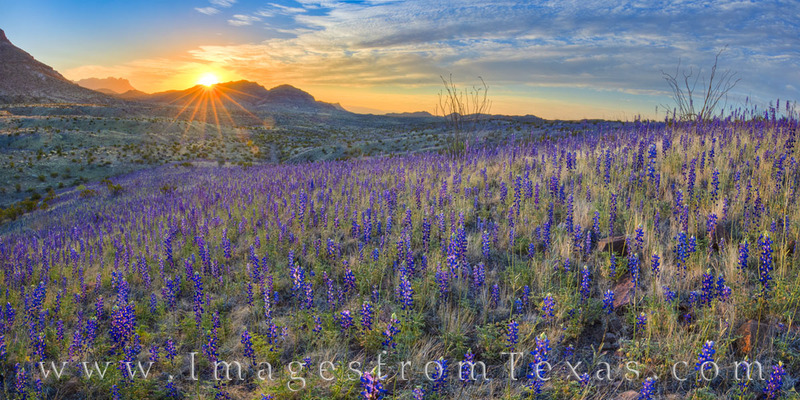 Bluebonnets fill the slopes and valleys southwest of the Chisos Mountains in Big Bend National Park. This panorama was taken deep into the 4WD River Road West on an early March morning. The clouds were perfect and the waves of blue stretched as far as the eye could see. This once-in-a-lifetime bloom was incredible, and I feel fortunate to have experienced this grand sight. This image is available in larger and custom sizes. Please contact me for more information. Photo © copyright by Rob Greebon.